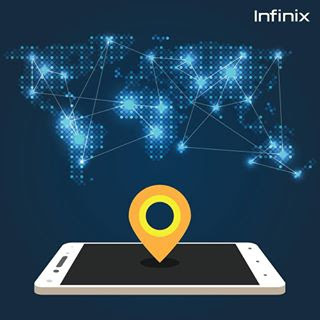 There have been some news trending online,about people purchasing fake infinix smartphone .The recent one was when a fake Infinix smartphone exploded in a lady's pocket, very bad because all these are fake smartphones, That's why InfinixMobility has released least of their authorized dealers and stores across Nigeria ,this is to help all Infinix lovers purchased Original Infinix Smartphones. With these it will reduce the sales of fake Infinix Smartphone across Nigeria ,These Aurthorized dealers and stores are spreed across all states in the country , your only stress is to check the list below for the nearest dealers or stores closer to you. SECOND LIST: Easynet Ultilities, DALLAS, HYBRAIN, 3CHUB ENUGU, SMB SHANONO BACAB PLAZA, ROMENS, MACSON, GUARANTY DIGITAL,, VAINS, DOUBLE VALL, Samdee, SOFVICS, JOPON, BLUECELL PHONES, Daybos, HENOUTEX, KC DEVICE, DE NOBLE, CHRISPHIL, ONIGX, GUARANTY HQ, Alrash, World class, Marghi phones, Femtech, O G WINNER COM, OKAY PHONES, Fine brothers, RINGO, M-christ, XRIGHT, WIRELESSWorld class, Yem-charlse, GIANT TREND, SUPERPHONES, IBEDMORE, BIOZED, Solid Worth, GIVERS EMAB, HYDRO, O C CONCEPT. THIRD LIST: Micro station, PURCH, Quick Choice, DALLAS AWKA, TIDINGS, SMAT, Divine hope, ICON MOBILE, Amikable, ALEXIS ACCESS, KC DEVICE, Maxwell, N-G COMPUTERS, JJ PHONE, NWEZU.COMM,, Phone Station, YES MARINA, Hatel Ventures, AMAECOM, GOFE WORLD. With this list you can now abstain from from Fake Infinix Smartphones. Wonderful list you've got here Emmanuel. I hate to admit it, but the whole town lately has been flooded with fake Infinix products- fake battery, fake charger even fake device. As a matter of fact the other day, a fake Note 2 was spotted on the all famous Jiji. Posted by an individual I believe. Yours could not necessary be fake but, HEY! It's a plus one to you, being able to identify a fake Infinix phone. Spotting a fake product is easy, i believe so. It's the more reason why i always advise people to know the phone they want to buy, google and confirm the specs and price before going to the store. In an article i highlighted how the Note 2 on jiji was proven to be fake. It's a pity though, consumers spend so much yet we end up in the hands of these product pushers. Superb, Tyne problem with us Nigerian, even though we are told of better thing we won't accept until he are scammed! Yes and that's what kills us.